good high school's NOVICE jacket. good high school's ADVANCED jacket. good high school's EXHAUST jacket. good high school's INFINITE jacket. 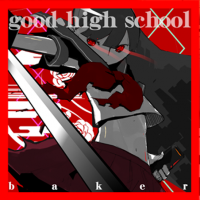 An extended version of good high school can be found on Keisuke Hattori's SoundCloud. 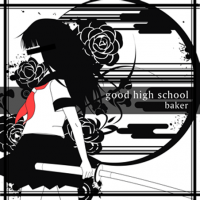 A remix of good high school, titled good high school remix, can also be found on Keisuke Hattori's SoundCloud. 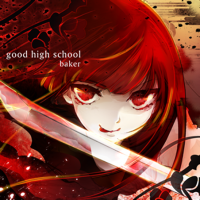 good high school marks Keisuke Hattori's debut in BEMANI. 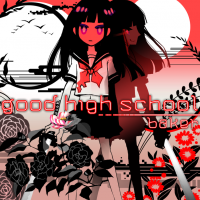 good high school's jackets feature the first appearance of SOUND VOLTEX character Kureha (紅刃). good high school received an INFINITE chart in SOUND VOLTEX II -infinite infection-. It can be purchased from the SDVX Station after obtaining an ULTIMATE CHAIN on its EXHAUST chart or after playing it 10 times. This page was last edited on 27 October 2018, at 16:43.